Danny Yeung M.D., Head of International Development and Senior Faculty of the AEDP Institute, is a trainer and supervisor of Accelerated Experiential Dynamic Psychotherapy (AEDP) for post-graduate mental health professionals in Hong Kong, China, United States and Canada. An Assistant Professor with the Department of Family and Community Medicine with cross appointment at Department of Psychiatry in the Faculty of Medicine at the University of Toronto, Danny also serves as a Consultant Physician / Psychotherapist of Assertive Community Treatment Team and Mental Health Court Support Program for the Department of Psychiatry of Mount Sinai Hospital. His unique contribution as a family doctor and a psychotherapist in the ACT Team, unparalleled globally, was instrumental in helping his team to win the American Psychiatric Foundation Advancing Minority Mental Health Award in 2007 and the Leading Practices Award presented by Ontario Hospital Association in 2007. He was also personally honored with the Joel Sadavoy Community Mental Health Award for 2011, Award of Excellence from the College of Family Physicians of Canada for 2012 and Peter R. Newman Humanitarian Award for 2013. Danny is the lead author of Rainbow After: Psychological Trauma and Accelerated Experiential Dynamic Psychotherapy, arguably one of the original trauma treatment manual published in Chinese. He coauthored Portrait of the Soul, a study of nine personality styles, currently in its 6th edition. Together with Dr. Diana Fosha, he also coauthored a chapter in the Casebook of Psychotherapy Integration, published by American Psychological Association. Danny has trained and supervised, since 2005, over 200 mental health clinicians, including social workers, counselors, psychologists and psychiatrists in Hong Kong in AEDP. He founded the AEDP Training Program in Hong Kong, fostered the birth of the AEDP Supervisors in Hong Kong. Danny served in a crises response team for a group of Canadian survivors in the September 11 terrorist attacks. During the SARS crises in 2003, he was a lead trainer in Toronto for psychological crises response for the Chinese community. Following the Great Earthquake in China 2008, he served as a Consultant to Wenchuan Earthquake Psychological Assistance Team during the post-512 earthquake relief efforts. Passionate in promoting psychotherapy training with China, he traveled to Mianzhu Sichuan in sharing his work in AEDP. Hundreds of his trauma treatment manual were donated in dedication to the survivors and families of the earthquake. Danny holds a Doctor of Medicine Degree from University of Toronto. A Certificant and Fellow of the College of Family Physicians of Canada, he is also appointed by the College as Psychotherapy Mentor for the Collaborative Mental Health Network and a Peer Assessor for the College of Physicians and Surgeons of Ontario. He is serving as the President of the Working With Families Institute. 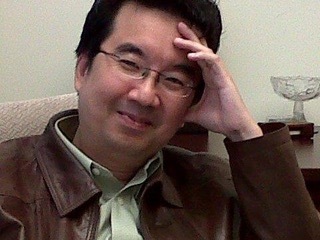 He maintains a private practice in family medicine and psychotherapy in Toronto since 1989.